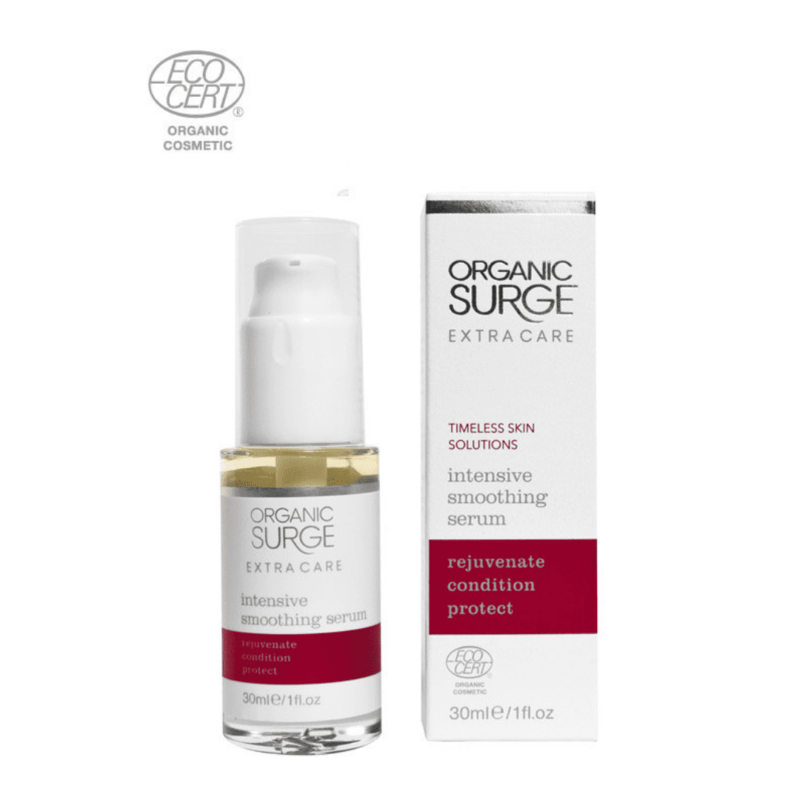 Part of Organic Surge’s Extra Care range, Intensive Smoothing organic Serum restores radiance to dull and uneven complexions. This natural serum is an excellent way to tailor your skin’s varying needs, whether it is too dry, or too oily, it glides on with ease and won’t make your skin oily if you use a tiny drop as directed. This natural intensive smoothing serum is enriched with Madagascan para cress extract, an ingredient we’ve chosen because of its known effectiveness at improving the appearance of wrinkles by smoothing the surface of the skin and protecting it from environmental damage. The rich formula used in our organic serum melts into the skin, leaving it soft to the touch, whilst soothing aloe vera calms any inflammation or skin sensitivity.